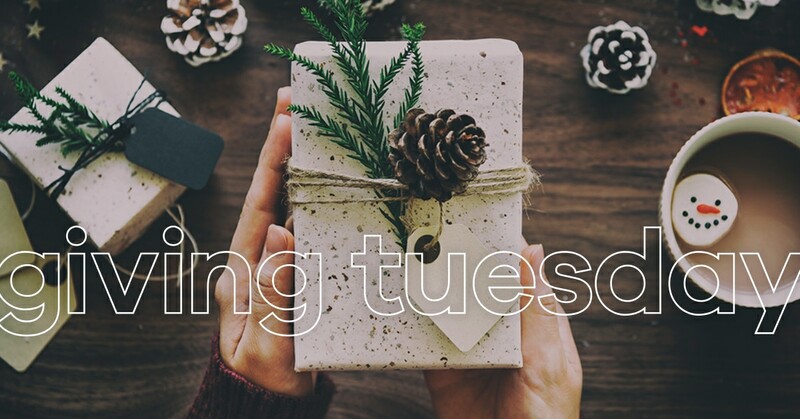 Giving Tuesday is a global movement that takes place the Tuesday after Thanksgiving, where people all over the world give their time or make donations to organizations, celebrating the act of giving and philanthropy. This year, The Martin Group is highlighting the non-profit organizations we work with every day that are making a difference in our communities. The Albany Institute of History & Art collections and programming are Upper Hudson Valley-focused, providing a record and platform for a sustained, rich, and varied dialogue about our history, our culture, and the arts for all ages – brought with a global perspective. The West Seneca Warriors Travel Baseball Club provides an environment that allows the boys in our Western New York community to learn and grow. Sportsmanship, teamwork, and developing grit are atop a long list of goals for the club. They rely heavily on support from the community to help with costs to run the teams, raising money through various fundraising events to pay for uniforms, tournament entry fees, travel league fees, umpires, and equipment. The Valley Community Association is dedicated to enhancing the quality of life of the residents of the Buffalo River Community by meeting individual and family needs and promoting environmental beautification. Advocating a strong sense of empowerment and ownership, the Valley Community Association’s committed staff and volunteers serve infants through older Americans with health related, educational, economic, social, and recreational assistance and opportunities. The Service Collaborative gives opportunities to people who choose to dedicate their lives to serving and helping others. The programs of The Service Collaborative focus on four very straight-forward areas that make an impact everyday: Education, Economic Opportunity, Youth Development and Volunteering. Their programs are able to provide social/emotional and math interventions to local schools and their students, financial literacy support to individuals and families in need, workforce development training to 16-24 year olds and opportunities to volunteer for everyone. The MHA takes a leadership role in the community in matters of behavioral health education, mental health awareness, and the promotion of issues surrounding mental health. Their programs reach into all eight counties in WNY and beyond, providing service to tens of thousands of children, adults, and organizations every year. Trillium Health is a community health center who provides primary and specialty care, with a focus on the LGBTQ community. They make sure people feel welcome, safe and can be themselves when seeking high quality health care. All people deserve to be treated with respect and dignity – you’ll get that at Trillium Health. The Joseph C. Wilson Foundation provides grants and funding to organizations in the Rochester community with a focus on ending poverty and the adverse effects related to poverty. Camp Good Days provides residential camping programs at a beautiful Recreational Facility, located on the shores of Keuka Lake in Branchport, New York, as well as year-round recreational and support activities, in the Rochester, Buffalo, Ithaca & Syracuse, New York areas for children with cancer and the entire family. At Camp Good Days, participants have the opportunity to regain some of what cancer has taken away from them. While a vast majority of the children reside in NY, Camp Good Days has no geographical boundaries and accepts children from all 50 states and all over the world. No child with cancer is ever turned away from Camp Good Days. Camp Good Days provides services for: children with cancer, children who have a parent or sibling with cancer and/or children who have lost a parent or sibling to cancer. They also offer programs for women and men who have or have had cancer. All of the programs and services are offered free of charge for the participants. DKMS is an international nonprofit organization dedicated to the fight against blood cancer and blood disorders by recruiting bone marrow donors to provide patients a second chance at life, raising funds to match donor registration costs, supporting the improvement of therapies through research, and supporting patients from day one of their diagnoses. The ECMC Foundation enhances what ECMC offers to their patients and community, secures the resources that make all the difference, and takes on initiatives to financially support the lifesaving work of ECMC. Through generous community support and building connections throughout our region, the Foundation strives to make more possible for our patients, their families, and our community. From providing patient transport vehicles to extended-stay housing assistance, patient comfort carts to personal items, they are committed to providing the resources that too often get overlooked in a time of illness or crisis. Community Services for Every1 launched in WNY in 1989 as a support for people who had a developmental disability and who lived out in the community and/or wanted to live as independently as possible. They pioneered the first domestic violence shelter for people with developmental disabilities in the nation. Community Services also developed specialized services and programs for people struggling with intense life issues such as homelessness, co-occuring mental illness, substance abuse or involvement in the criminal justice system. Since their launch, they’ve grown from a team of 50 to now 900 staff members and offers more than 40 programs.